Oshima Tsumugi are some of the finest silks in the world and recognized as one of the great national treasures of Japan. 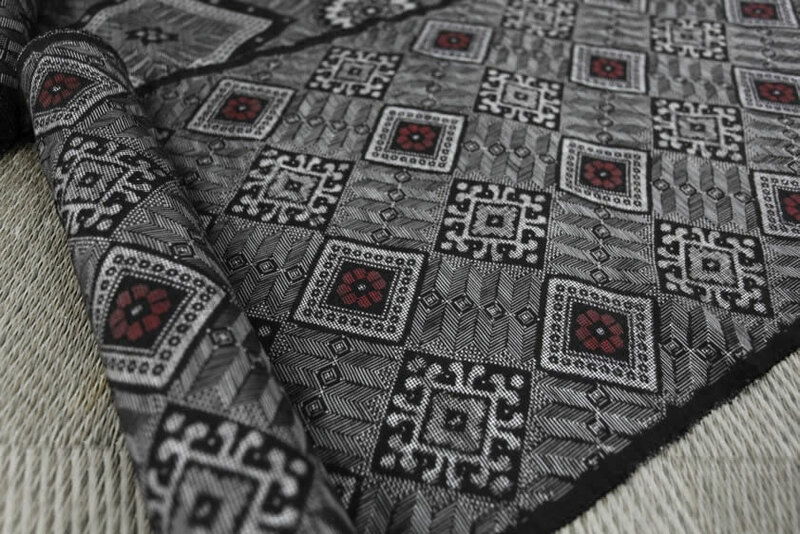 It is estimated that the art of weaving Oshima Tsumugi originated around 1300 years ago. Tsumugi was never available to the people who made it, commoners were prohibited from wearing silk, it was rather produced to pay taxes to the feudal government. LTK Brand’s opening line of ties, pocket squares, and scarves use a variety of vintage Japanese fabrics. You will find a number of these to be types of Tsumugi including Oshima Tsumugi, Shiro Oshima Tsumugi, Ai Oshima Tsumugi, Doro Ai Oshima Tsumugi, and Iro Oshima Tsumugi, all differentiated mostly by certain variations in their dying processes. Something all these Tsumugi have in common is the meticulous, labor-intensive, highly demanding process that goes into spinning, dying and weaving these magnificent silks. It can take from 6 months to a year from start to finish. You can sense the immense degree of spirit and skill that went into making these silks when you hold them in your hand. An LTK Brand tie, pocket square, scarf or any of our products is so much more, it is an heirloom that will bring pleasure to to have as much as to wear.